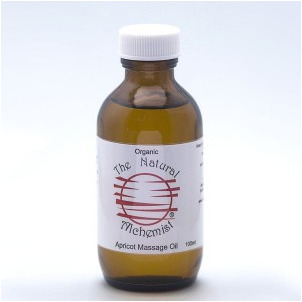 Our Organic Apricot oil is cold pressed and is a great massage oil base. If you want to add essential oils to this base to make your own beautiful massage oil, then it is best to only make up an amount that you will use up in a few weeks. Up to 3% essential oils can be used in your massage oil, which amounts to 10 drops of essential oils in 20mL of base oil. Apricot oil is also very nourishing to use as facial oil. All massage oils are now in attractive new blue bottles with pressure pump for your convenience.